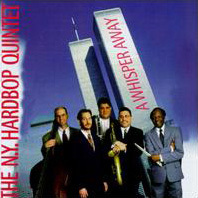 The NYHBQ, formed in 1990, has developed into a supple, mature-sounding unit that carries on the tradition of the Blue Note hard bop dates of the ’60s. Trumpeter Joe Magnarelli and tenor saxophonist Jerry Weldon are melodic improvisers within the idiom (especially on the album’s two ballads, “Everything I Have Is Yours” and Weldon’s “Grace”). Pianist Keith Saunders, bassist Bim Strasberg, and new drummer Clifford Barbaro make the underlying rhythm flow. This is the group’s third TCB album.